She goes down the water slide with you even though she’d prefer to read her book, she takes you out for pizza when she’d much prefer sushi and she stays up late to listen to Dad sing karaoke — she even cheers him on! 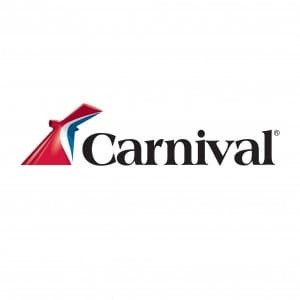 Mom is always doing nice things for the ones she loves the most, so this Mother’s Day, show her how much you appreciate her by arranging a day full of great “mom-tivities.” If you happen to be enjoying a Carnival cruise vacation with your mom (or your children’s mom) this Mother’s Day, select from a wonderful array of onboard activities, dining options and shore excursions that are perfect just for her. In fact, just like Mom, our mom-tivities are great every day of the year, no matter your destination. Sometimes Mom just needs a break from kids — her own and everyone else’s. Insist she spend a few hours at the Serenity Adult Only Retreat. She can order her favorite cool drink from the bar, lounge on a comfortable chair and take a quiet dip in the kid-free pool. Surprise Mom with a luxurious massage, facial or beauty treatment at Cloud 9 Spa. 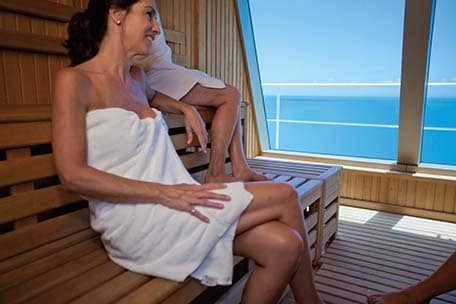 You could save it for a special treat at the end of your cruise or perhaps schedule a tension-releasing hot-stone massage for the evening after an adventurous day. Dinner and a show? Don’t let Mom have an early night on her special day. After dinner, the whole family can enjoy a performance by world-class singers, dancers and musicians at one of the onboard stage shows. If you’re on a cruise with young children, make it easy for Mom to enjoy mom-tivities of her choice by sending them to Camp Ocean for a while. They’ll have fun and be in safe hands, so she can relax and do whatever she wants without worrying about the kids. Treat Mom to a multi-course dinner with the VIP treatment at The Chef’s Table. Hosted by the Master Executive Chef, this special meal starts with cocktails and hors d’oeuvres, followed by gourmet entrees and lavish desserts that are not featured on any of the regular menus. 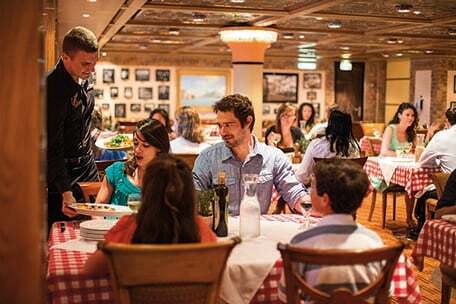 Celebrate Mom with a cozy family meal of Italian comfort cuisine at Cucina Del Capitano. It offers a welcoming atmosphere, a dining room styled after an Italian country home and generous portions of Italian food served family-style. Adding to the appeal of a restaurant meal (and a cruise vacation), Mom gets a night off from cooking, and nobody has to do any dishes! There’s no better way to begin the day than with breakfast in bed. With 24-Hour Room Service, you can order Mom’s favorite breakfast before she even wakes up, then wish her good morning with a hot cup of coffee or tea. Whether you cruise to Mexico, Hawaii, The Bahamas, the Caribbean or another of our unforgettable destinations across the globe, there’s a huge array of shore excursions to choose from. We know that all moms are not alike, but with excursions ranging from beach getaways to high-adrenaline adventures, it’s easy to find an ideal mom-tivity or two. 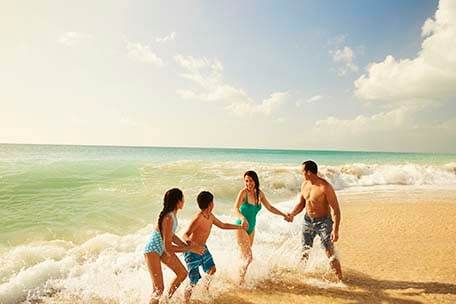 For the shopaholic mom: If you cruise to Freeport in The Bahamas with a mom who can’t get enough retail therapy, arrange for her to go on the Garden of the Groves Sightseeing & Shopping Tour. The trip includes a scenic journey to the Port Lucaya Marketplace, a 12-acre shopping center that’s a sure highlight for any shopaholic. For “Adventure Mom”: Cruising to Hawaii’s Garden Isle? Book the Aloha Kauai Adventure, which will take Mom down scenic, bumpy back roads to see such natural treasures as Waimea Canyon, Kalalau Valley, the Kokee Forest Reserve and the secluded Mahaulepu shoreline. If one of your ports of call is St. Lucia, put Mom’s courage to the test with the Ultimate Rainforest Adventure. 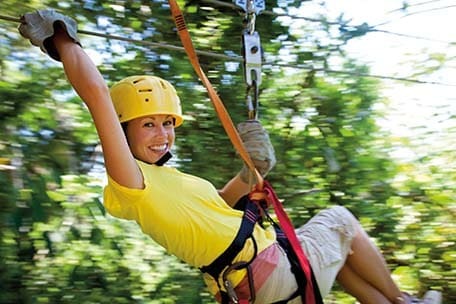 It includes an aerial tram ride, zip-line canopy tour and hike through an ancient tropical rainforest. Abundant birdlife and beautiful views make it all the more memorable. For the nature-lover mom: Up-close whale watching by Zodiac from Cabo San Lucas, Mexico, is an excursion any animal lover will treasure. Venture into the Sea of Cortez and Pacific Ocean in search of great breaching humpbacks, as well as occasional gray, blue and sperm whales. Riding in a 15-passenger Zodiac means you can get up close for incredible views of amazing marine creatures. Alaska-bound cruisers can arrange for Mom to go on the Alaska Nature & Wildlife Expedition, departing from Skagway. She’ll experience six distinct ecosystems, starting with a high-speed ferry ride along the longest and deepest fjord on the continent. Awaiting her will be bald eagles, river otters, brown bears, leaping salmon and more. For the foodie mom: The Scenic Photo Tour & Foodie Experience from Yucatan, Mexico will take Mom to Merida. It’s a spectacular city, but “Foodie Mom” will be most thrilled to experience a tour showcasing local food and drinks. On the Big Island of Hawaii, the “Sense-sational” Kona excursion allows you to discover culinary treasures made from crops grown on the rich, volcanic soil on the slopes of Hualalai, an active volcano. 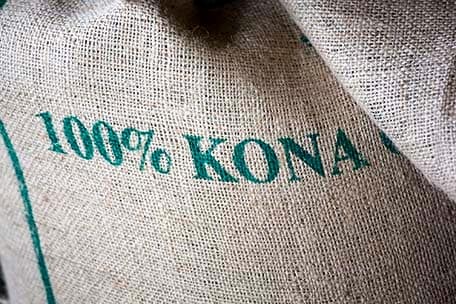 Mom will get to visit and try samples of these island-grown products at the Original Hawaiian Chocolate Factory, the Kona Natural Soap Company and the award-winning Kona Joe Coffee Farm. For the mom who wants to relax: There are few finer ways to truly relax than on the sun-drenched deck of a sailing ship. Bermuda-bound moms can experience this on the Bermuda Sail & Swim excursion off the coast of the island. You don’t have to be cruising on Mother’s Day to make a cruise day special for Mom. You can get a deal on a fun vacation all year-round, and great mom-tivities are available all year too.